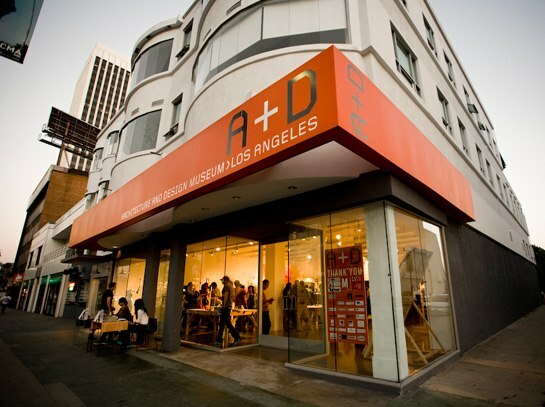 Los Angeles’ often-mobile A+D Architecture and Design Museum, which has been displaced from its perch on Museum Row by Metro’s Purple Line Extension, has found a new home in city’s Arts District. Its new building, at 900 East 4th Street, is across the street from SCI-Arc. It features 8,000 square feet of space, brick walls, and a bow truss ceiling. The museum’s two year lease began this month, and they hope to complete buildout by May. The effort will be led by Gensler, RTKL, and Matt Construction, but others will soon get involved, explained Executive Director Tibbie Dunbar, who appears thrilled to be out of limbo, despite regrets to be leaving the city’s museum center. “It feels terrific,” said Dunbar. “I’m excited to be near SCI-Arc, and I’m excited about what’s going on in the Arts District. We’ll be a big part of attracting people to the area.” The A+D will be the burgeoning neighborhood’s first museum. 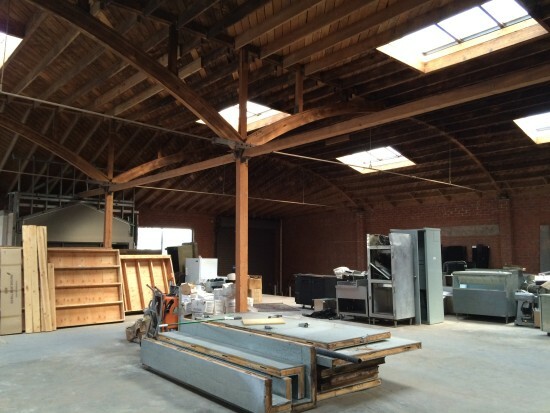 They also plan to sublease space to a design-focused tenant, such as a retailer or cafe. The museum, which depended on pro bono spaces early in its life, has a history of traveling. After starting in the Bradbury Building, its trajectory has involved a lot of numbers: 8560 Sunset Blvd, 5900 Wilshire Blvd, and 6032 Wilshire Blvd. After the museum’s lease expires, it hopes to join forces with the AIA’s Center for Architecture and Urban Design (CALA), which is still undergoing a search for its home.